“Swedish pancakes on Saturdays and waffles on Sundays.” is what Lars Andersson cooks for his family on the weekends, according to his son, Michael, in Cynthia Swanson’s The Bookseller. Blue-eyed Lars was born in Sweden. 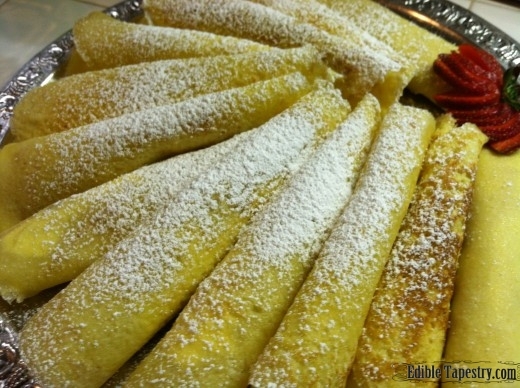 So as soon as I read what he made for his family every Saturday morning I was taken back to my childhood, when my sister and I would beg my mother to make the German pancakes from her homeland. It wasn’t until I was older that I learned that her “pancakes” were French crepes. I did a little research to see if Lars’ Swedish crepes were similar. When I learned that they were, I knew that cheese and fruit filled crepes were perfect to go with Cynthia Swanson’s debut novel. 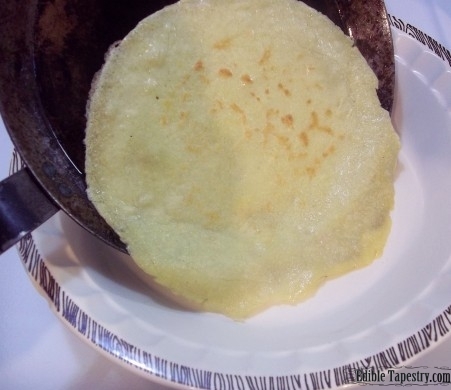 Pre-made crepes that can be found in some grocery store freezer cases can be used to save time, though I have included my crepe recipe here. 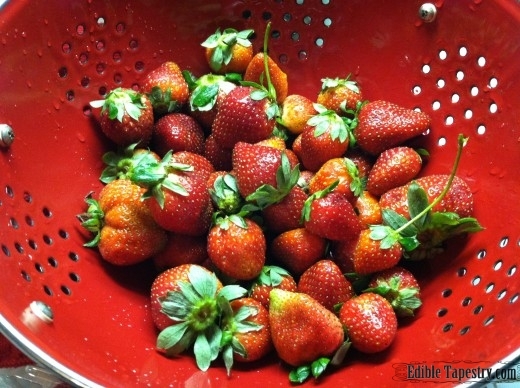 The filling is a cinch to whip up, and any berries, other fruit, or preserves can be substituted for the strawberries, as could mini chocolate chips or chocolate curls. 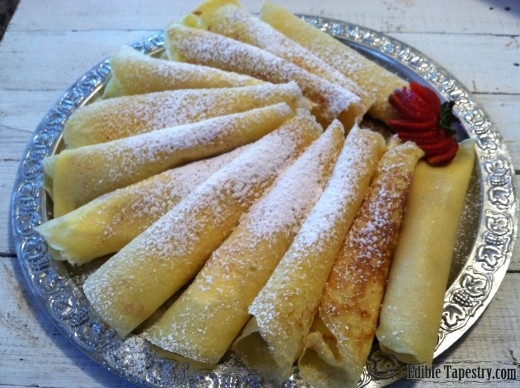 These Swedish pancakes are easy to assemble ahead of time, and are great chilled, which makes them simple to prepare for those who may want to serve them at book club meetings. Sift together the flour and salt. 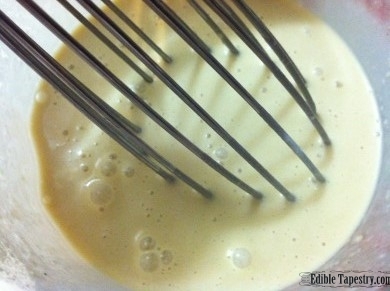 Whisk in eggs and a little milk until a smooth paste forms. Whisk in the butter, beating well to incorporate it so it won’t solidify. Vigorously whisk in the remaining milk to make sure all flour has been blended in and batter is lump free. Heat a crepe pan or small saute pan over medium heat. Melt a little butter in the bottom of the pan. Ladle in about an ounce of batter, turning pan to allow it to coat the bottom. Cook for approximately 30 seconds. Lift one edge of the pancake with the corner of a spatula. Flip the pancake over. Cook for an additional 30 seconds. Shake to loosen the pancake as it cooks. Slide the pancake off the pan and onto a plate. Repeat until all of the batter is used, adding butter between every few pancakes to the pan if it gets too dry and pancakes begin to stick. Place the cottage cheese, vanilla, and sugar in a food processor or blender and puree until smooth. 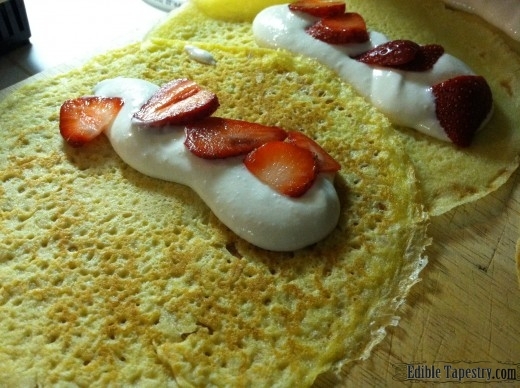 Spoon a line of the cheese mixture down one edge of each pancake and top with strawberries. Roll up. Dust with confectioner’s sugar. Garnish with strawberries. I wouldn’t mind someone fixing this for me on Mother’s Day.